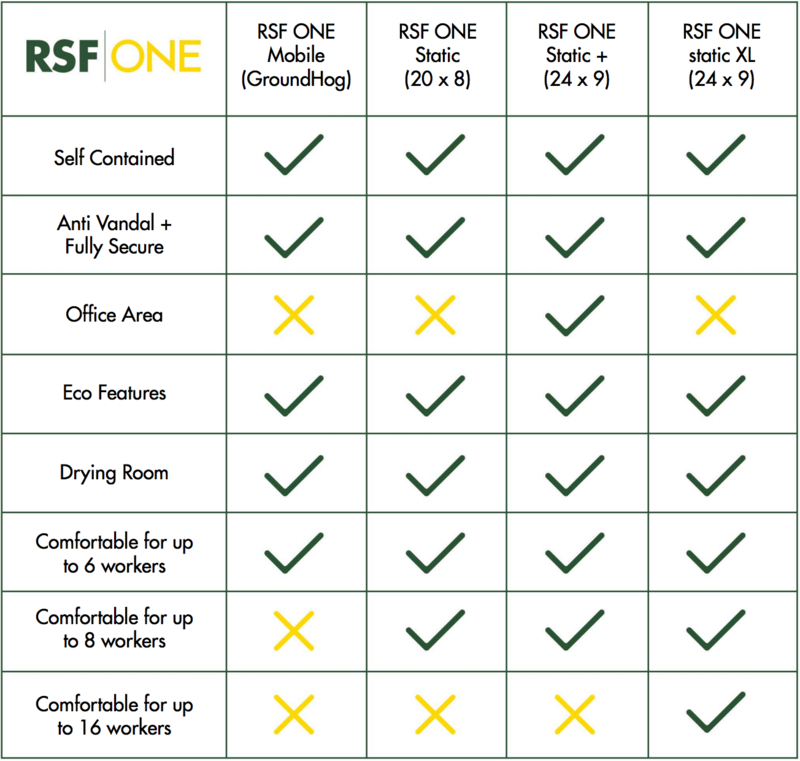 The RSF ONE static + (24 x 9) has all the features of the RSF ONE static with the additional benefits of being suitable for up to 10 people and provides a dedicated office area. The static + welfare units many safety features makes them highly secure and anti-van – dal, also saving money which is a low cost choice of static welfare unit for rental, hire and utility companies including site contractors. Static welfare units also known as site welfare units, mess cabins and welfare cabins offers great features which make the static welfare units a new green onsite option for all your welfare needs.